Have you experienced being a dreamwalker? or have you tried dreamwalking? Re: Have you experienced being a dreamwalker? or have you tried dreamwalking? Once. I was in a ciesta mode when I went out of our house and flushed the toilet located outside of our house three times. Some of our neighbors saw me doing it with my eyes closed. They woke me up and told me to come back to sleep. I though I was just dreaming but realized that it did happen when my mother talked to me about it the following day. I really don't know the reason behind until now. Creepy, eh? Noong bata pa ako. Sinampal ako ng Lola ko. Nagising ako. Nakatayo ako sa taas ng hagdan namin. Takot na takot daw yung pinsan ko kasi naglalakad akong tulog. Akala nila mahuhulog ako sa hagdan. Hindi ko alam kung bakit ko ginawa yun. Nagulat na lang ako pagmulat ko nakatayo pala ako sa harap ng hagdan. Buti naagapan nila ako. 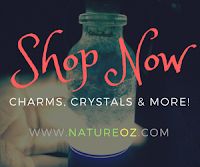 To unsubscribe from NatureOz Forum, click here. Any opinion on why are acting out the dream? I've been sleepwalking for as far back as I can remember. The worst episode I had was waking up outside our gate and I couldn't even get back in because I locked myself out. I was in grade 1. My sisters have always told me that as a child, I would usually have night terrors and I spoke a lot. So much so that they can carry out conversations with me. What scared them the most was when I would sit up in bed and talk to them, or when I moved around while sleeping. That's one of the reasons why I always lock my doors prior to sleeping, because I'm afraid that one of these days I'll break my neck going down the stairs while fast asleep. My partner said that the worst thing about my sleepwalking/talking was me going hysterical and nearly impossible to wake up. I haven't had an episode for quite some time now and frankly, I don't miss my episodes because they're draining. Emotionally and physically exhausting. I now sleep for 3 maybe 4 hours a day, deep sleep is something I try to avoid. I can control my dreams if I make an effort to do so. But no, I have never attempted to enter another person's dreams simply because I feel like it should remain private. For a person like me who acts out while sleeping, I would want some things to remain between me and my mind. I don't want any more unnecessary intrusions. Hence my decision to never interfere with other people even when it would have been helpful. Yes, I can do lucid dreaming if I make an effort. It's very tiring, and it feels like I didn't sleep at all. I view sleep as a means of recovery - mental, physical, emotional, and psychological. I don't want to tamper with its properties because I view it as a gift. I hardly get enough sleep as it is, I wouldn't want to make myself more tired by lucid dreaming. Also, my experiences make it difficult for me to want to travel in that plane. I find that place a bit foreboding simply because it is where rules can be bent if someone so desires. I like to live within certain limits for my own safety. Have you ever experience sleep paralysis?? Yes. When I am experiencing this, nire-relax ko lang ang sarili ko para makapaglakbay diwa ako (astral travel). This is the first stage of astral projection kasi. But before I do that, I visualize a white light enveloping my body para lang makaiwas sa mga unwanted entities na sumama sa akin.